Doodlecraft: 45 Doctor Who Inspired Valentine's Day Printables! 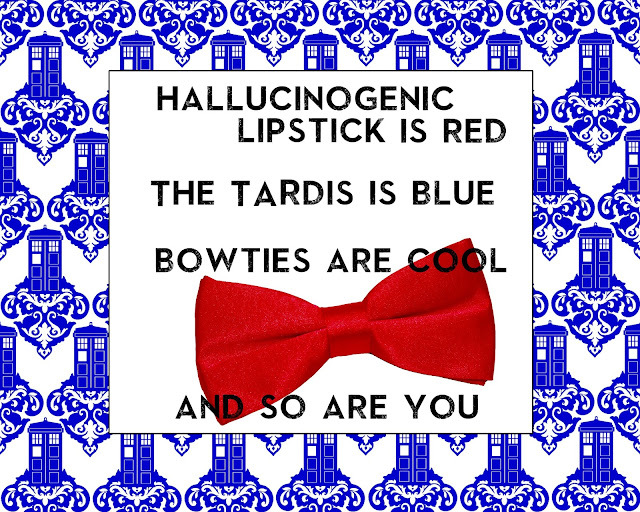 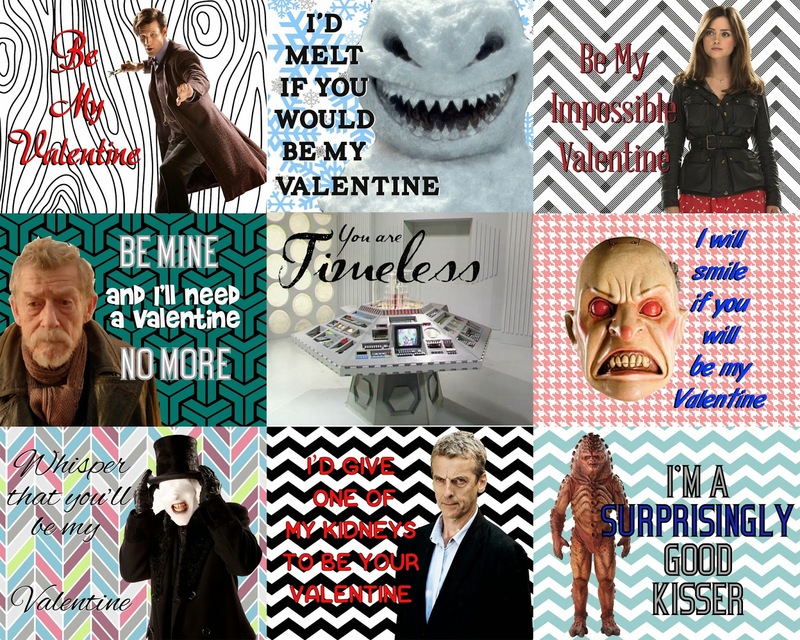 45 Doctor Who Inspired Valentine's Day Printables! 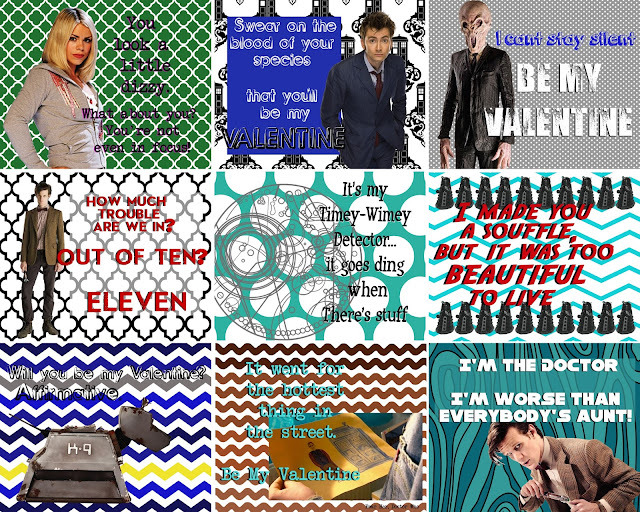 For the last 2 years, I've made amazing Valentine's inspired by Doctor Who. 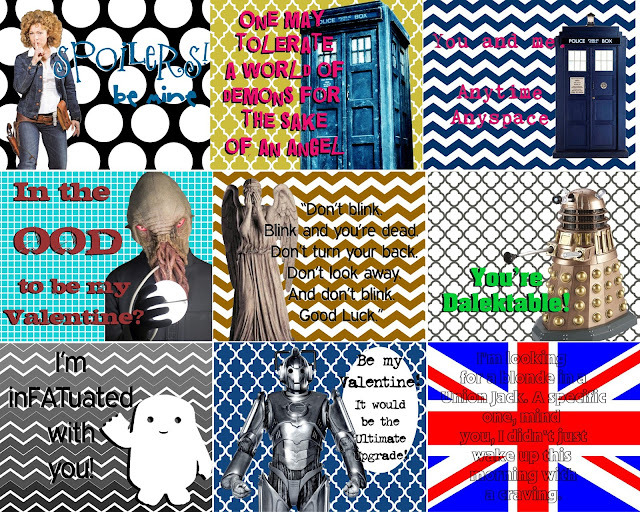 For Personal use only...I spend lots of time making/designing these...my *gift* to you! 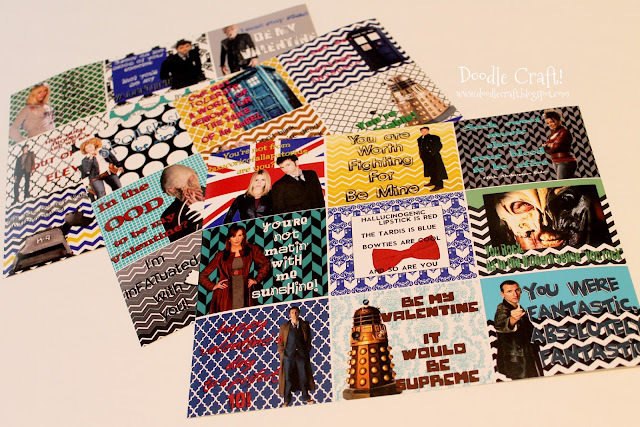 Please thank me by liking, following, sharing and pinning! 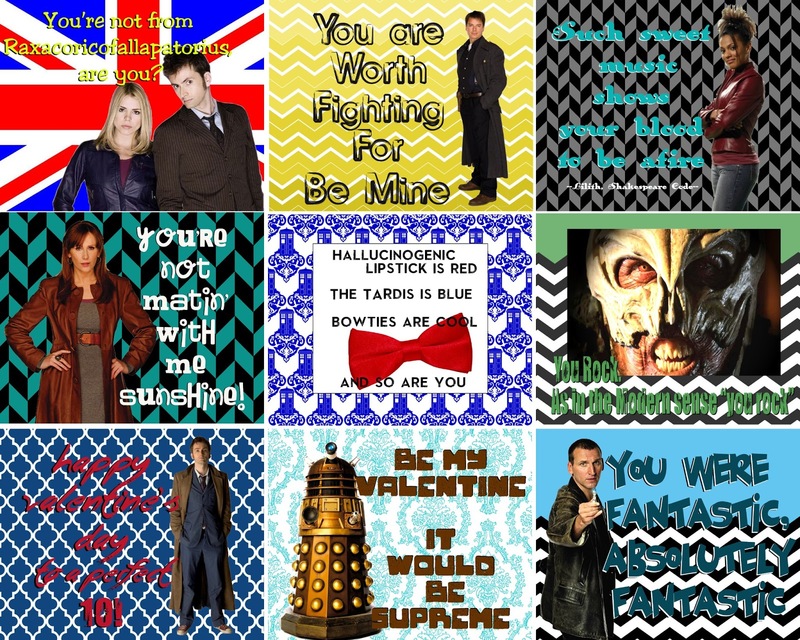 or send them to an photo place! 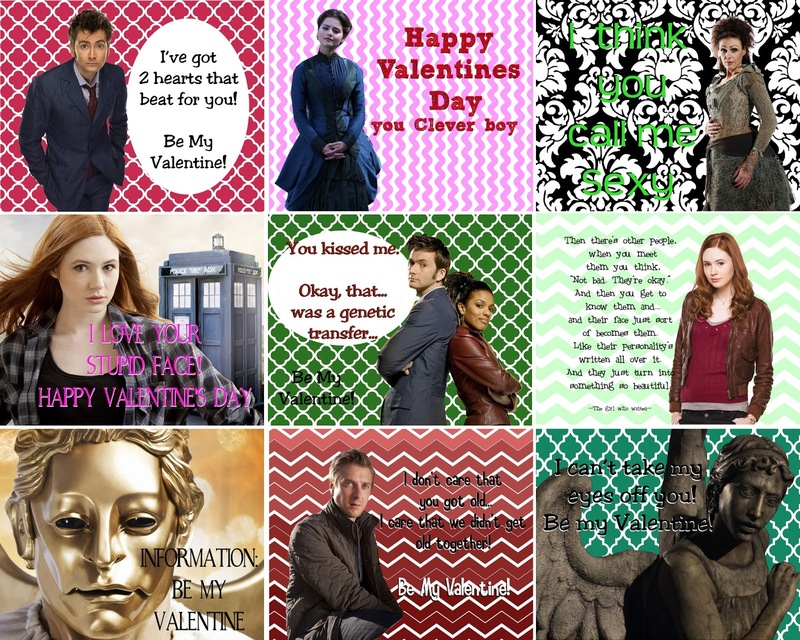 No new ones this year...but there are 45 fun Valentines you are sure to love! I had these 3 pages printed at Walmart's 1 hour photo...turned out pretty great! Click here and here for the FULL Sized versions of all 45 Valentine's! Hope you have a Tardis to hold all your Valentine's!